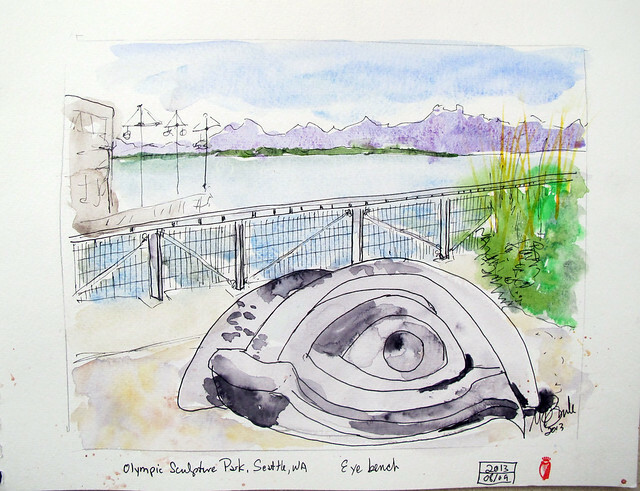 "Friday Sketchers" had a perfect day for our Olympic Sculpture Park ad hoc sketch outing. There were 10 of us, counting Ann and Paul who were visiting from Michigan. 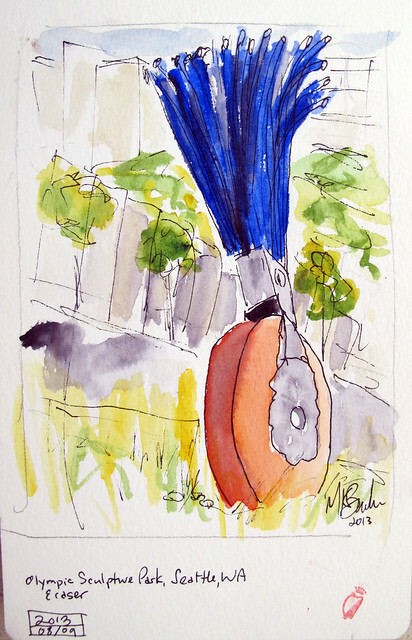 Paul found the outing listed on the Seattle Urban Sketchers blog. I impressed myself by completing 3 sketches. I think that's the most I've ever done in an outing. 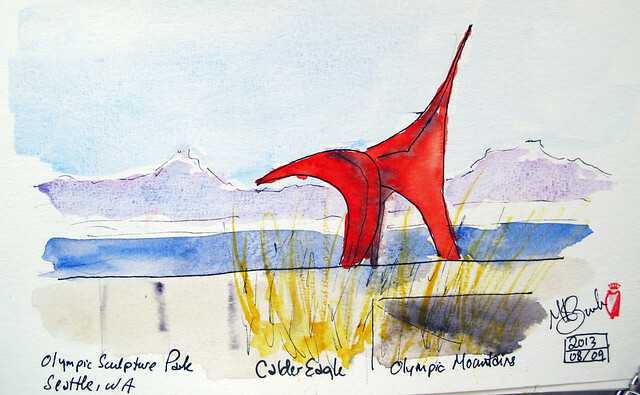 I arrived early so did a quick 15 minute sketch of the Calder Eagle from the entry point of the park. I'd used the park's website to look at the options and had decided I most wanted to sketch the Eye Benches. 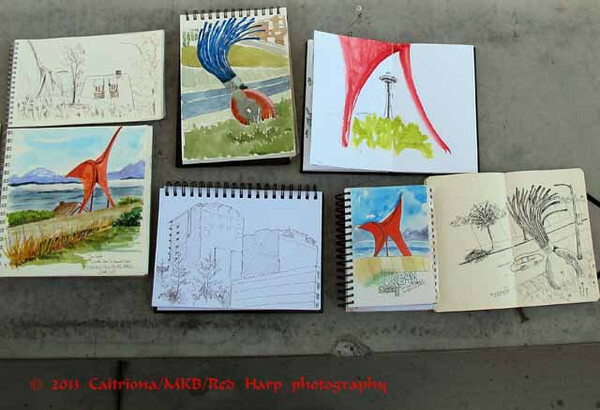 When I found them, the scene I most wanted to sketch was closed for construction. So I picked a different view that included the mountains, which I actually liked better. I still had about a half hour so headed for the Eraser as that was my next favorite sketch subject. 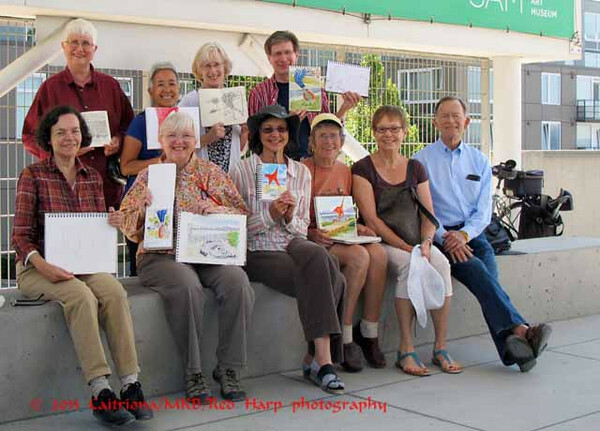 As usual, we shared out sketches and then posed for a group photo.